We’re thrilled to announce the launch of the brand new Otter + Pop product series. 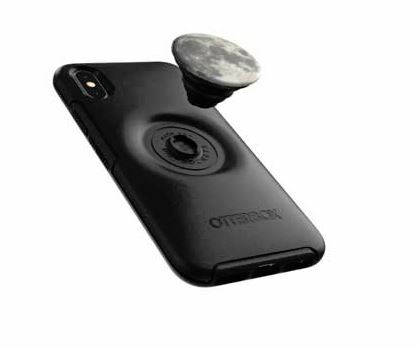 The partnership with OtterBox and PopGrip by PopSockets mean you no longer have to choose between a protective case and a PopGrip. Otter + Pop series is a protective case integrated with PopSockets’ PopGrip that complements style and improves functionality. The first two months of launch, TELUS and Koodo will be the only two retailers in Canada to sell this product. This is a rare opportunity and we’re hoping to make the most out of this exclusivity period. Built-in PopGrip: helps you text one-handed, snap better pics and watch videos hands-free. Designed to lay flush with case: integrated PopGrip allows the case to slide smoothly in and out of pockets hassle free. Swappable: swap out PopTop designs for quick style changes to match every moment. Choose from a fun variety of colours and patterns. Wireless charging compatible: Otter + Pop cases are Qi wireless charging compatible, but in some situations you may need to remove the PopTop depending on the wireless charger and the thickness of the PopTop. Easy installation: one-piece case pops on and off your phone in a flash. OtterBox Certified Drop+ Protection: durable protection shields against drops, bumps and fumbles. The PopTops allow for easy swapability. Click and twist off to change your PopTop for a whole new look, whenever you feel like shifting your style. Refer to the below image for instructions.